Manchester-based Brazen has been appointed by Smithfield Foods to handle the national PR account for new hot dog brand Jungle Dogs, after a competitive pitch. Brazen will be responsible for both traditional and social media and is tasked with creating a campaign to generate excitement and media coverage for the high street brand launch. The new hot dog, which claims to pack "substantially more pork than its biggest competitor", aims to fill a £5m gap in the market for a product that children love and parents feel less guilty about. Spokesman Glen Batchelor said: “We loved Brazen’s award-winning creative credentials and the fact that their campaign is designed to work seamlessly across both traditional and digital media. “We needed a PR partner with experience in launching new brands with the ability to engage our target audiences quickly across dual channels. 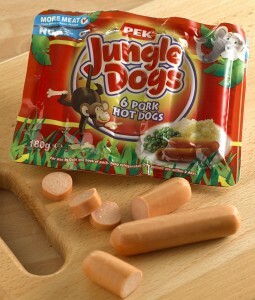 Brazen founder Nina Webb added: “Jungle Dogs is a really exciting new family brand of hot dog from one of the biggest meat producers in the world. The Jungle Dogs team will be headed by client services director, Peter Burling, and account director Emma Trimble. Brazen is currently recruiting four new team members and has also launched a graduate intake programme.